Pure yellow flower, without patch in the heart. The flowers of pansies are edible. 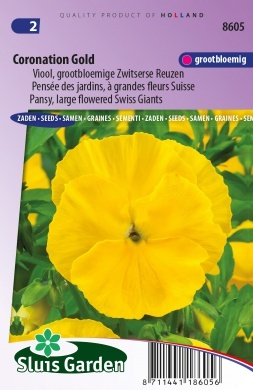 All pansies are generally biennials, but the annual culture is recommended. Sow early in the spring, if necessary in an unheated greenhouse, prick out or transplant directly from the seedbed to the final spot. Those shaded yellow are biennials.